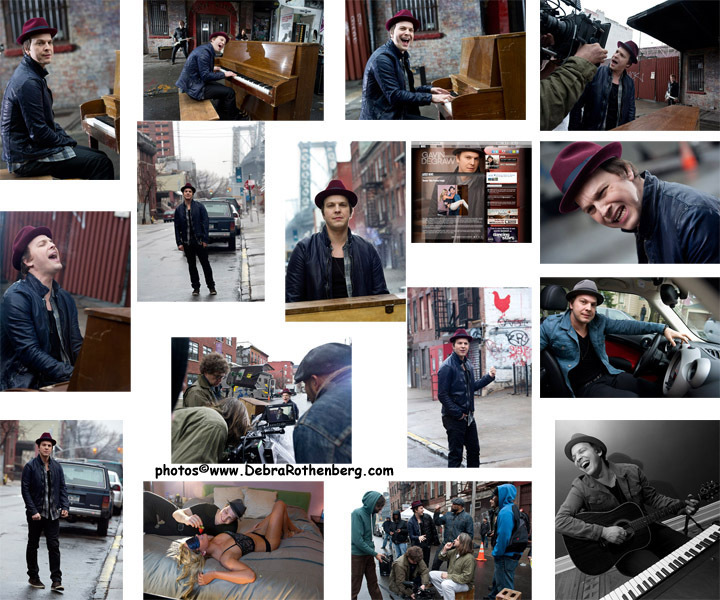 Debra L Rothenberg Photography: Gavin DeGraw video shoot for "Sweeter"
Last month I was hired to be the still photographer on set for the new Gavin DeGraw video for his song, "Sweeter." I was very excited since I have shot him several times in the past, both live, and in the studio on the old MTV show "TRL." Everytime I heard him sing, I liked him more and more and being able to shoot his video was a joy. The entire cast and crew were absolutely wonderful and a joy to work with. I can't wait to see the video as it airs tonight on "E! News"
I know who I will be rooting for for this season's "Dancing With The Stars." TEAM GAVIN!! (New York – March 15, 2012) Gavin DeGraw will premiere the music video for his current album’s second single “Sweeter” exclusively on E! News at 7pm PT/ET and eonline.com at 5pm PT/ 8pm ET, today. On Friday, March 16th at 5pm PT/ 8pm ET, the video will go live on music video website VEVO and VH1 will include the video in their Top 20 Countdown on Saturday, March 17th. Dancing With The Stars will air a clip of the video on premiere night kicking off its 14th season with Gavin as a contestant on Monday, March 19th at 8pm on ABC. The video for “Sweeter,” directed by Lenny Bass and shot in Brooklyn, features Sports Illustrated model Genevieve Morton. The video begins in a bar setting where Gavin woos Morton away from a less than enthusiastic boyfriend and they take off on an afternoon adventure together. “Sweeter,” co-written with OneRepublic’s Ryan Tedder, is the second single and title track from DeGraw’s third studio album. The album’s first single, “Not Over You,” also co-written with Tedder, was certified platinum earlier this year and continues to climb sales and radio charts since its June release.